Manchester United came from 0-2 to beat Manchester City 3-2 in the derby on Saturday to deny Pep Guardiola’s side from lifting the Premier League title in front of the United fans and at Wembley Stadium next weekend. Goals from Vincent Kompany and Ilkay Gundogan had given City a 2-0 lead at half-time before an extraordinary comeback from us in the second half. Paul Pogba started it off with two goals in the space of 97 seconds in the opening 10 minutes of the restart before Chris Smalling scored the winner by volleying home Alexis Sanchez’s free kick midway through the second half. 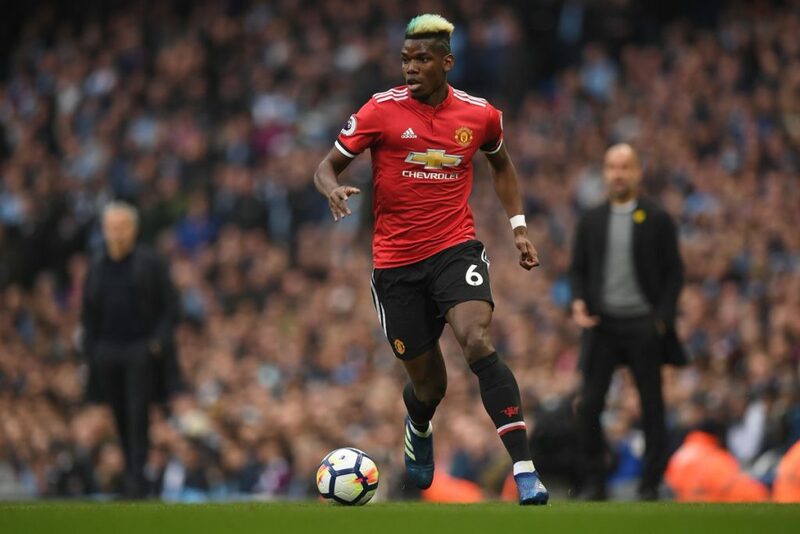 Pogba has received a lot of criticism this season and wasn’t having the best of first halves before putting on a show in the second 45′. “I said at half-time that my midfielders couldn’t play better than they were playing. It’s difficult to play against City because they press really well and are compact and their transition is really strong. “I told Matic, Herrera and Pogba that they could not improve a lot from what they did in the first half because they had confidence to play and to move the ball and give passes. Paul Pogba now has five goals and nine assists in his 21 Premier League matches for us this season as we improved our lead over Liverpool to four points, also with a game in hand. Another seven points from our remaining six fixtures would guarantee us Champions League football next season. Following the derby win we are at home to West Bromwich Albion next Sunday, who could be relegated if they lose at Old Trafford and several results go against them.